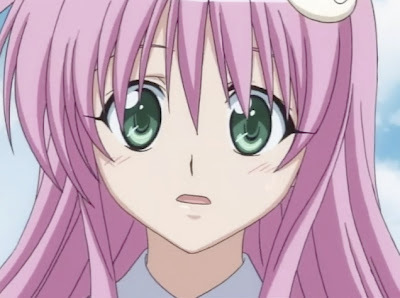 It was a rough start with ToLoveRu because it seemed that everything in it was stolen from other animes. The ending, was almost equally as rough as the beginning. At one point, I almost shout out "Cheater" to the screen when it looked like it's going to end in a very cheap way, but the last moment saved it from being what I considered "cheap" ending. Overall, it's an interesting anime when you follow it episode by episode, because it provides some non-sense comical relief to some other series. If you watch it all together at once, I'm not sure you'll get same satisfaction, because its repetitive nature. Recommendation: If you do end up watching it, I recommend to watch it in multiple segments, because it will get old pretty quick if you just keep going. It locks that you havent read the manga, you wold see that the ending is very diferente and the ova will be released so it notthe real end.